Congratulations to Adam Boyko on his first solo. Trusty old 66230 and trusty old David Kornreich, helping to make a new pilot. Congratulate Nate Knight on his first solo. We only made him pull five planes out of the hangar and walk a half mile to preflight 25028. No Father's Day Breakfast due to airport construction! Sorry to miss everyone this Father's Day. 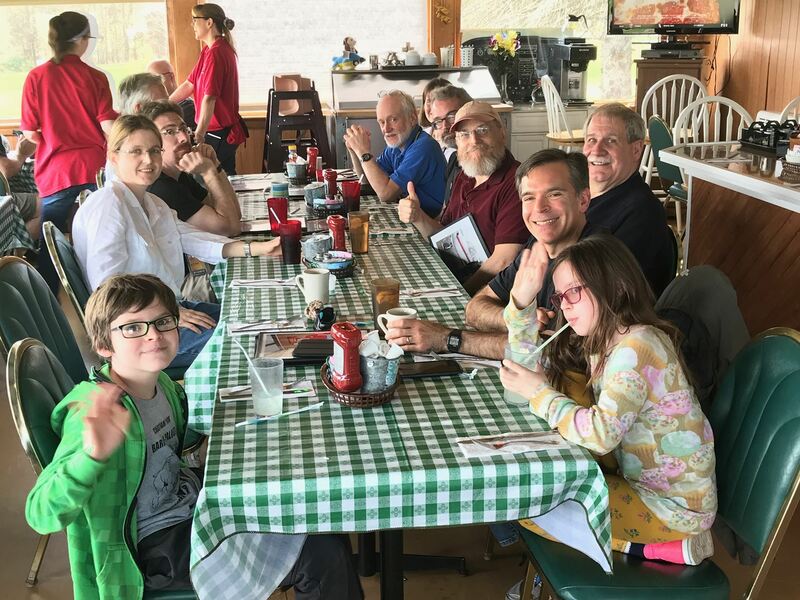 We'll be back for the Fall Breakfast in September and reboot the Father's Day Breakfast in June, 2019. The FAA has issued us a new part 141 certificate with added class/category privileges. 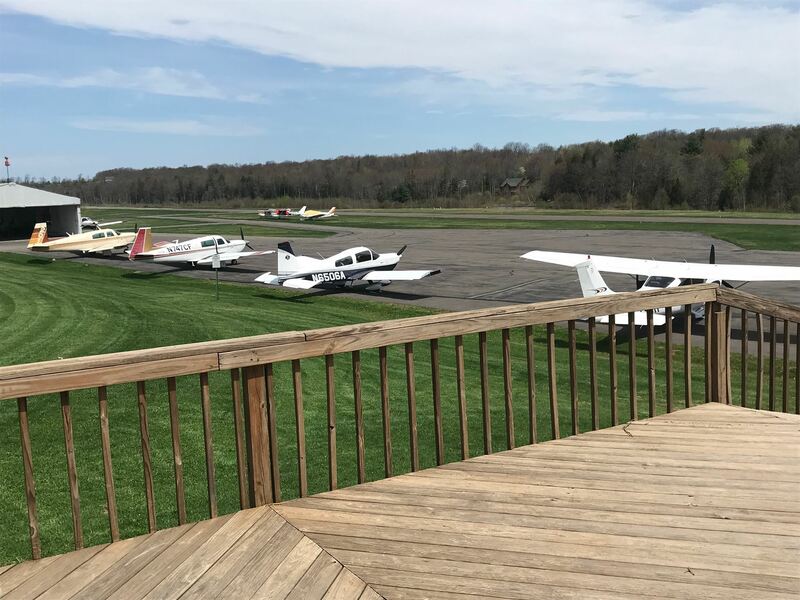 We can now accept VA students for multi engine training. 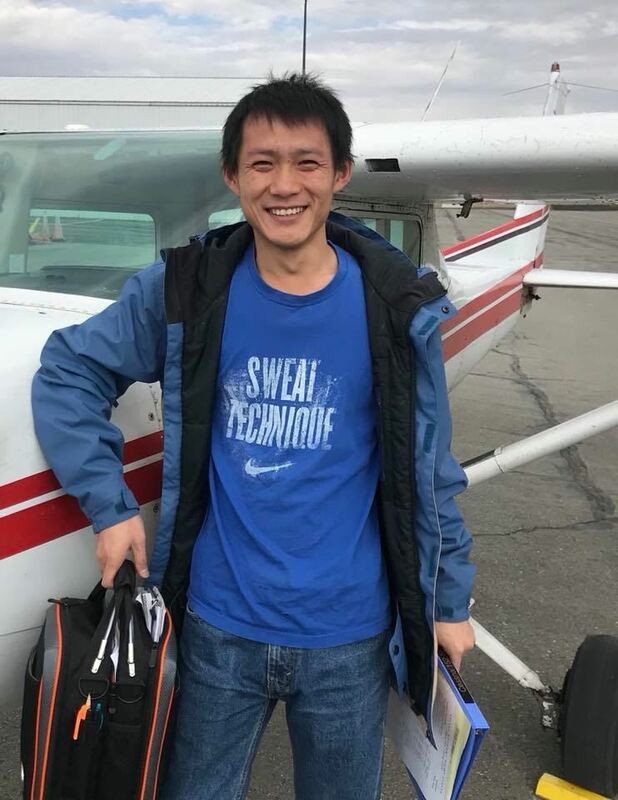 Congratulate Mike Huang on his first solo. Everyone had a good time on our fly out to Cherry Ridge. A bit turbulent at altitude but a beautiful day nonetheless. 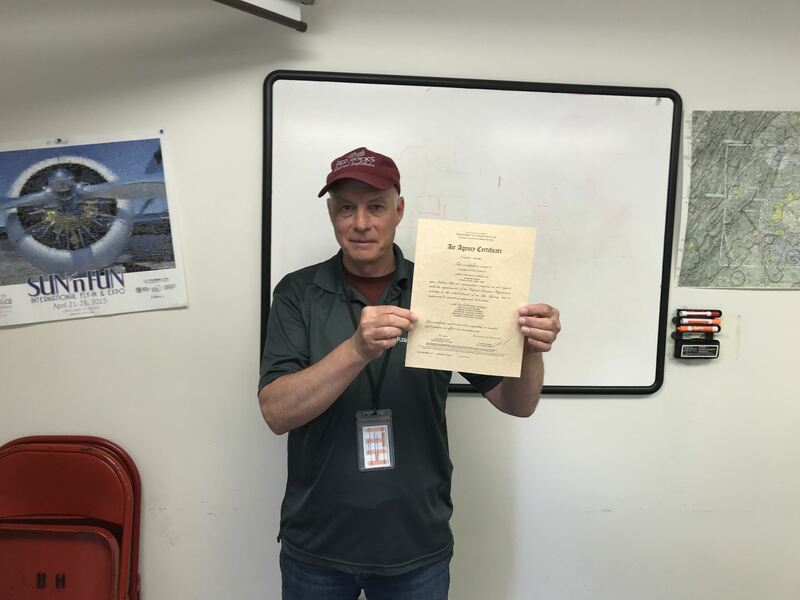 Congratulations to Cong Ding who earned his Private Pilot Certificate at East Hill today. Way to go! 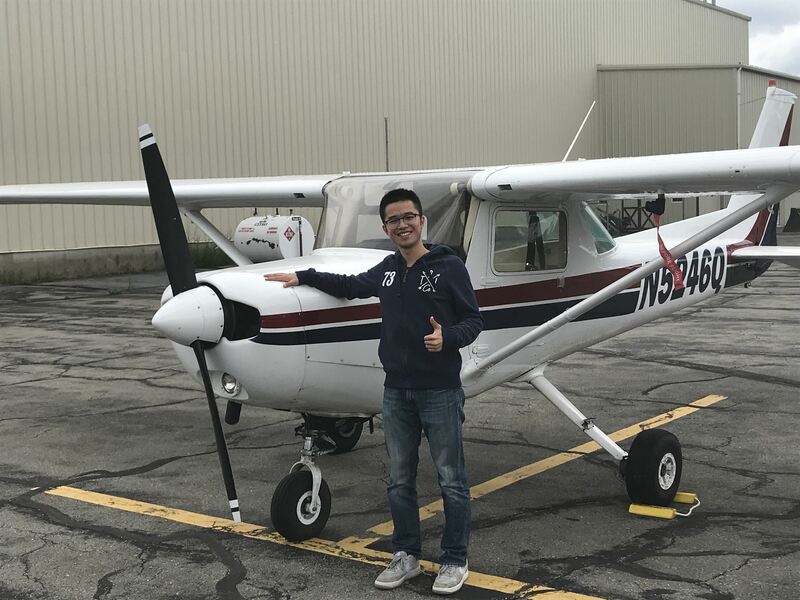 Congratulations to Weyi Shi on his first solo on February 18th - way to go! Check out the video from his solo on Youtube here. We now have the ability to provide multi engine training in our Travel Air. Sign up with Mike to get some differences training or to get the multi add on rating. Congratulate Cliff Lardin and Michael Feehan on their solos. They are both avid students and I have no doubts about their success.